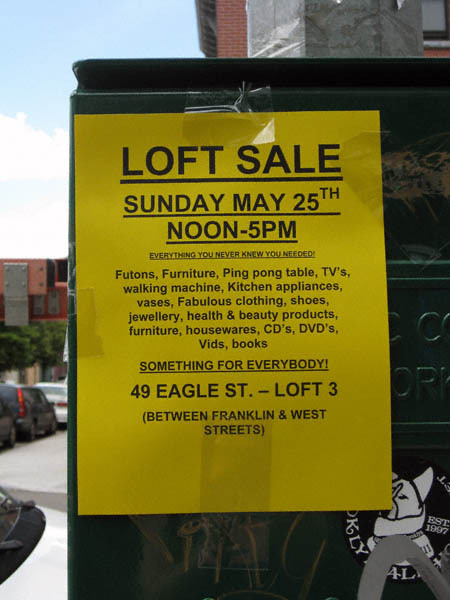 Those of you with a little money and time to burn will be happy to know a(nother) stoop sale will be happening today at 49 Eagle Street. Unless my memory fails me (and that is entirely possible) I have hit stoop sales at this address before. There were some damned good pickins’. Check it out!